Once your day is finally winding down, a relaxing evening is the only thing on your mind. Maybe dinner with the family or just Netflix and chill. We’re here to help you stop making excuses by easing into a morning workout routine! Getting out of bed earlier may be a struggle at first but the benefits are worth it! Make sure you are getting 7 to 8 hours of sleep. To ease into your new routine, start going to bed 15 minutes earlier each night. 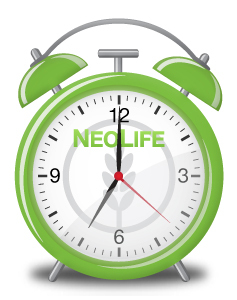 An earlier bedtime will make waking up earlier less painful and wont be a drastic change to your sleeping habits! After just a couple weeks, it will become automatic! Put your gear together the night before. Then you can simply wake up and grab your bag on your way out in the morning. You won’t have to waste any time searching for your headphones or looking for matching socks. Knowing everything is all ready will give you one less excuse to not get out of bed! Change your phone background to an inspirational image or hang a collage of healthy fitness photos bedside so you’re inspired as soon as you open your eyes! Seeing what you are working towards will make you eager to jump out of bed and get it! Set your alarm for the morning and place it out of reach. The most difficult part of rising early is getting out of your comfy bed. So force yourself to get out of bed in the morning to turn off the alarm. Once you are out of bed you will have no excuse to snooze it! Wake yourself up with some up beat jams! Set your alarm ringtone to something that makes you want to move! Keep your workout motivation going and dance off your sleepiness. You will definitely be pumped up for your workout! Stop making excuses and start integrating these 5 tips! Enjoy the rest of your day knowing that you have already exercised! You decide, snooze it or work towards your fitness and weight loss goals!